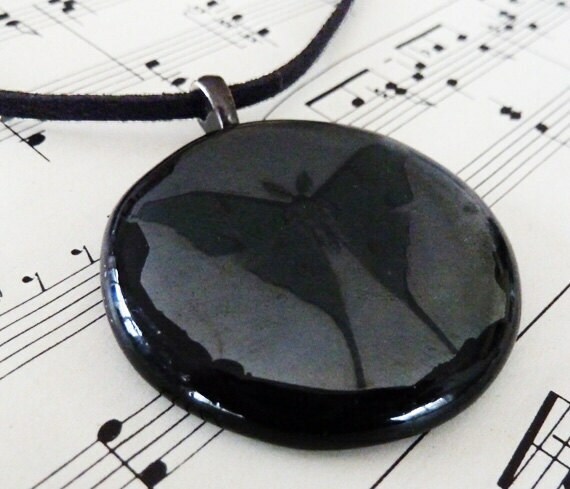 This is a big, chunky pendant, about 4cm (1.5 inches) diameter. 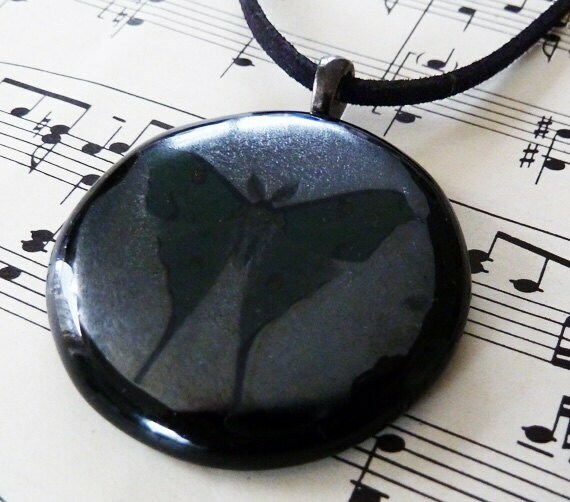 It's made from glossy, black fused glass and has a more satin, metallic, pewter grey finish on top. The green butterfly illustration is fired on the surface. It's hung on a gunmetal bail and comes with a faux-suede cord. All my pendants come in a gift box, and free first class postage in the UK.